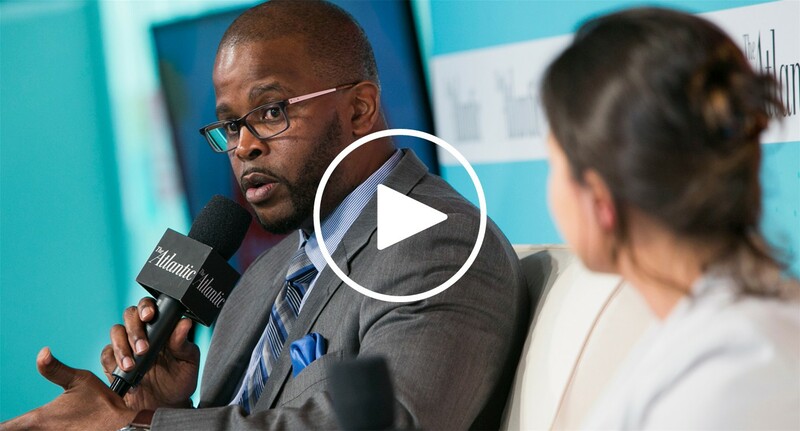 In the midst of a divisive national political debate, The Atlantic’s third annual Education Summit gathered educators, policymakers, parents and students together to consider the challenges and opportunities facing the American education system in fulfilling its promise. We posed questions about quality early childhood education programs, school segregation and integration, technology implementation in the classroom, the purpose and future of higher education and more. The fourth annual Education Summit will examine new ideas and deep debates in American education and its role in American society today. The Atlantic gathered educators, policymakers, parents and students to illuminate the most pressing debates in the education world today. *This speaker will participate in a session that is produced by our underwriter and not by The Atlantic's editorial team. **This session is produced by our underwriter and not The Atlantic's editorial team.